The public is invited to learn more about the impacts of climate change on Maui’s coastal areas, including big waves, flooding, erosion and more, at Maui Nui Marine Resource Council’s meeting on Wednesday, July 11. The meeting takes place from 5 to 7 pm at Pacific Whale Foundation’s classrooms at the Ma’alaea Harbor Shops. All are invited. – Bradley Romine, PhD, Coastal Management and Resilience Specialist, University of Hawaii Sea Grant Program, Center for Coastal and Climate Science and Resilience. – Tara Owens, Coastal Processes and Hazards Specialist, University of Hawaii Sea Grant College Program (partnered with Maui County’s Planning Department). Attendees are welcome to bring questions about managed retreat, beach replenishment and other issues relating to the impact of climate change on Maui’s shorelines. The meeting is free and open to all. Refreshments will be provided. Established in 2007, Maui Nui Marine Resource Council (MNMRC) is a community-based nonprofit dedicated to clean ocean water, healthy coral reefs and abundant native fish for Maui County. The meeting will include updates on our projects, including the Hui O Ka Wai Ola water quality monitoring program, Olowalu coral reef study and efforts to improve water quality in Ma’alaea Harbor. Copies of MNMRC’s 10th anniversary annual report will be available to take home. To learn more, visit www.mauireefs.org. Brad’s role as University of Hawaiʻi Sea Grant extension faculty is to provide bridges between the university, our communities, and government to meet the complimentary goals of conserving coastal environments and reducing natural hazards risk to shoreline development. He works closely with the Office of Conservation and Coastal Lands at the Hawaiʻi Department of Land and Natural Resources (DLNR) and interfaces with other government agencies and the public on collaborative projects to support planning and decision-making based on the latest and best-available coastal and climate science. Recently, he provided scientific and technical guidance to the DLNR for the development of the Hawaiʻi Sea Level Rise Vulnerability and Adaptation Report. He is also leading the development of science-based planning tools and guidance to improve resilience to coastal hazards and sea level rise in Hawaiʻi through funding from the National Oceanic and Atmospheric Administration. 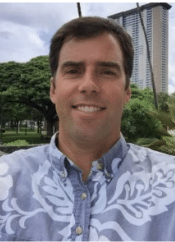 Brad completed his PhD in Geology and Geophysics at the University of Hawaiʻi at Mānoa in 2013 and has published research articles on coastal geology, beach processes, shoreline change, and sea level rise impacts in Hawaiʻi. Tara Owens is Extension Faculty with the University of Hawaii Sea Grant College Program, specializing in coastal processes and coastal hazards. Partnered with Maui County’s Planning Department, Tara’s role is to “bridge the gap” between science and policy and planning for improved coastal management by providing technical guidance, consultations, site visits, and public outreach. Tara also interfaces with other government agencies and the public on collaborative projects pertaining to coastal hazards, including beach erosion and sea-level rise impacts. 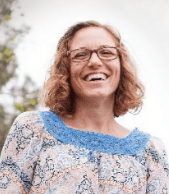 Tara earned a bachelor of science degree in marine science from Coastal Carolina University, and a master’s degree in coastal geology from the University of Hawaii. She was hired by UH Sea Grant and moved back to Hawaii in 2010 after working for 7 years in the federal government at the U.S. Geological Survey in St. Petersburg, Florida and then at the NOAA Coastal Services Center in Charleston, SC.